You’ve no doubt heard of the 80-20 rule. Also known as the Pareto Principle after its late-19th century founder William Pareto, the 80-20 rule can be applied to many different things including time management, productivity, investing, the distribution of labor, and sales. It states that 80% of the outcomes or results of something usually come from just 20% of the inputs or activities. You may also have heard of the concept of management by exception, or MBE. This is the practice of only bringing financial and operational results to management’s attention if the results are substantially different from what was expected or budgeted. The idea behind MBE is to limit the amount of time management spends looking at variances to only those that are the most extreme or substantial and might have the biggest impact on results. Savvy small and middle-market business owners will put both the 80-20 rule and management by exception into practice to increase productivity and efficiency, boost sales and profits, and improve overall business results. 80% of the company’s time and resources account for 20% of the work that’s done. 80% of the company’s revenue and/or profits is generated by 20% of the customers. 80% of all complaints come from 20% of the customers. 80% of the quality problems occur with 20% of the products. Determine whether your time and resources are being allocated properly and used productively to accomplish work that’s of the highest value. Identify which customers are among the 20% generating the most profit and make sure you’re delivering the highest level of quality and service so they remain your customers. Decide whether customers who do the most complaining have legitimate gripes that can be addressed or are just chronic complainers who may no longer be worth the hassle and aggravation. Figure out why quality problems are occurring at a high rate among a small subset of products and come up with a solution for eliminating them. Using management by exception effectively is key to improving management productivity and identifying outliers quickly so immediate action can be taken. Take expenses, for example. Suppose department heads each have a budget of $50,000. Using MBE, you might decide that only variances of 10% or more (or $5,000) need to be reported to management and investigated. This will enable management to spend more time focusing on variances that are truly important and can make a real difference in the company’s bottom line — and less time on variances that are negligible and won’t make much of a bottom-line difference. 1. Set objectives, define expectations and establish a benchmark. Realistic targets and goals must be used to set reasonable benchmarks in such areas as sales, expenses and production. Look at past performance and adjust this based on current market conditions and other relevant factors. 2. Assess and gauge performance to determine whether it’s on track to meet these goals and expectations. Determine what data you will collect and how it will be gathered, assessed and analyzed. The more frequently you can assess information, the better able you’ll be to gauge progress toward your goals. 3. Determine where performance or results are deviating from the objectives and by how much. This is where you’ll decide what level of exceptions are substantial and significant and what level aren’t — or in other words, what constitutes a deviation and what doesn’t. 4. Report deviations to management for further investigation. If you’ve done the first three steps successfully, then you’ll only be reporting exceptions that it’s worth management spending time and energy investigating further. Not only will this allow managers to spend their time more wisely, but it will also lead to better solutions that can help prevent exceptions from occurring again. Savvy business owners will apply both the 80-20 rule and management by exception to increase productivity, boost sales and profits, and improve business results. Understanding how the 80-20 rule works in business situations supports taking steps to improve your results. And using MBE can both improve management productivity and identify outliers quickly so immediate action can be taken. 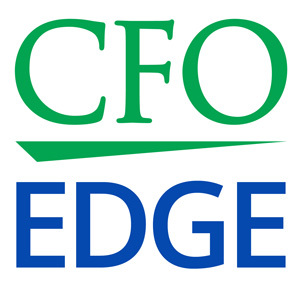 A CFO partner from a CFO services firm brings a proven record of applying both strategies on the client side and on the services side.